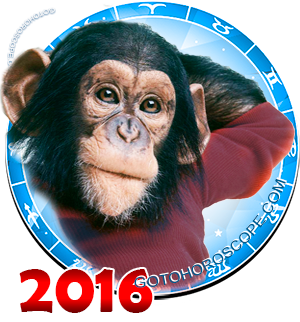 September 2016 Horoscope Libra, free Monthly Horoscope for September 2016 and Libra Astrology Forecast for the month ahead. People born under the sign Libra in September of 2016 will find themselves in a rather challenging situation, although in general it will be a quite positive life stage, during which you'll be able to easily achieve all the goals you set. Therefore, you should focus on what you really want and avoid being distracted by irrelevant issues; you simply won't have enough time, energy and vitality for everything. The thing is that Venus, your planet ruler, will lose a lot of intensity in its positive dynamics due to its current planetary positions. Fortunately, Saturn, the exaltation planet of your sign, will form an alliance with the Sun, which is usually in charge of your "fall"; all this will ensure that you are able to easily withstand any potential negativity, and most importantly, a successful confluence of external circumstances will make up for the lack of your vitality. As a result, you will find yourself in a really unusual situation, a spectacular and amusing one, but certainly not negative. The main thing is not to give in to short-term trends and not to fall into depression that can easily set itself in in the first days of the month if you let it happen. Now your emotional stability will actually be the key to your success on all fronts of your life, so it would be foolish not to take advantage of this opportunity, especially given the fact that nothing extraordinary will be required form you. If we take a close look at the field of work and business, it will be worth noting the following: this side of Libras' life in September of 2016 can easily fall under not the most positive impact, and we're not referring here to the stars but to your immediate surroundings. You should focus on one or two primary problems, and the solution of the remaining ones should be delegated to your subordinates, colleagues, partners, or someone else, depending on your job position. It would be unwise to "neglect" the directions that are out of your reach, however, spending your efforts and strength in an attempt to kill dozen birds is even worse. It won't be easy, that's a fact, but the outcome that you'll get at the end of the road will be the one you've long been striving for. You will earn the respect of others, and it will be especially important for those who are not working for themselves. The owners and entrepreneurs born under the sign Libra will be in a better place, because the scope of their control will be much broader, which will lead to great opportunities, but at the same time, to more responsibilities. However, you shouldn't be afraid of making a mistake. As one proverb says, it is better to do something and regret it than regret not doing it. 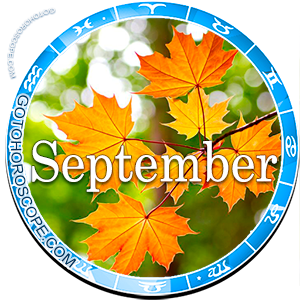 The scope of senses and emotions in September of 2016 will appear a little less dynamic for Libras; on the whole, it'll be a much more relaxed and quite uneventful time devoid both of large-scale and small everyday events. Small and fairly trivial quarrels, which actually will turn out to be minor and insignificant, will probably keep chasing you until the end of the second decade. You will cine to realize it yourself pretty fast, but you should not make the mistake of neglecting these little issues, otherwise the situation will get out of control: if the situation is elementary, it does not mean you don't need to address it. You do not need to focus on anything specific, and at the same time you shouldn't waste your depleted energy reserves. Try to sublimate your own passionate energy into a creative channel (say hi to Grandpa Freud). It will be ideal if your soulmate joins you. One of your friends definitely won't mind sharing with you a new hobby, and that's good, because strengthening your friendship ties will be an important moment, particularly vital in the long term, for the future stages of your life.